Infrastructure Australia sees a car-bound future ahead for the lucky country. 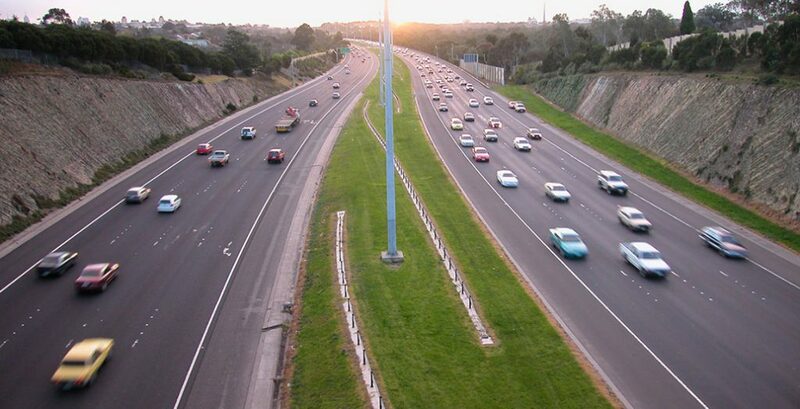 Infrastructure Australia’s revised list of nationally significant projects overwhelmingly features road developments, while environmental projects barely get a mention. Infrastructure Australia (IA) has released its 2017 Infrastructure Priority List, which helps guide Australia’s federal and state governments in major projects decision-making. The list includes seven high priority and 11 priority projects with a total capital value of around AU$60 billion. All the projects in the high priority list are transport related, while only two of them sit outside the ambit of road projects. The Western Sydney Airport project and the building of the Melbourne Metro Rail are the exceptions among road-related infrastructure plans like the M4 Motorway upgrade from Parramatta to Lapstone (NSW), the WestConnex project (NSW), the Ipswich Motorway Rocklea–Darra Stage 1c (Qld), the M80 Ring Road upgrade (Vic) and the Perth Freight Link. Foreground has previously reported on plans for a large-scale project involving long-term infrastructure to support development near the site of Sydney’s new airport at Badgerys Creek, and the creation of two massive new residential suburbs. Some of the high priority projects have come under criticism in recent days. The WestConnex motorway plan was attacked by a local council and a Labor politician after it emerged that a major tunnelling site for the project will sit alongside an inner city high school, as it would be cheaper than placing it in an area currently used for a bottle shop. The Western Australian government has yet to submit its full business case for the $1.9 billion Perth Freight Link, which critics have said will shift, not ease, heavy transport congestion. The only significant strategic urban planning project to make the list of priority projects was the University of Tasmania’s $400 million science and technology precinct in Hobart’s CBD. The precinct will provide teaching and research facilities to 3000 students and 700 staff. In a statement, IA Chairman Mark Birrell called the STEM precinct a “visionary proposal” that would “boost Australia’s STEM skills and research capability and further support the development of high-value science, technology, engineering and mathematics related industries in the Hobart CBD.” It is the first education project to be approved by the IA Board and identified as a priority project. Using the Australian Infrastructure Audit as their primary evidence base, Infrastructure Australia undertook an assessment of the infrastructure gaps and requirements in each Australian state and territory, supplementing their choices through consultation with state and territory governments to reach a consensus. The list also includes 25 high priority initiatives and 57 priority initiatives. These are proposals that have been identified to potentially address a nationally-significant problem, but require further development.